Phil Jackson is another iconic figure that I consider one of the most prominent in the history of NBA. His calm demeanor has always impressed me and his legendary attitude to coaching has molded many talented players into true stars. 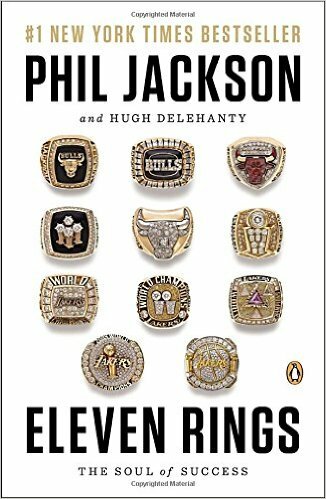 "11 Rings" is actually about much more than basketball. Jackson recalls his experience both as a player and as a coach and offers fascinating insights into his relations with other players. He describes each championship run from his own unique perspective; the way he dealt with conflicts, media, attitude problems and his (often unorthodox) methods of building team spirit. The book gave me a new perspective on many events that I followed and now I perceive some players as more complex whereas some other seem much less heroic. 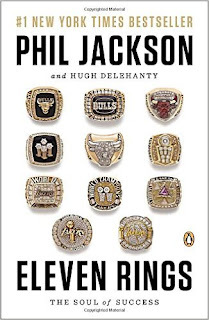 Jackson's work with the likes of Jordan, Rodman, Bryant or O'Neal required him to use all his psychological and philosophical as he was trying to establish good relationship with each of them. On a purely practical level, his unusual methods have brought him record-breaking eleven championship rings. However, on a deeper level he was able to make many players not only better on basketball court, but also in their everyday lives. From this perspective, a lot about HR management, PR, etc. can be learnt from his story. I particularly enjoyed his method of "controlled improvisation" and after giving it some thought came to a conclusion that I could describe my approach to work similarly.